Simon and I set of for our lessons together today, after leaving my house in the pouring rain we thought it wise to call ahead to check if the lesson was still going ahead, there had also been a problem with the aeroplane and we wanted to check that this was not going to impact our lessons also. 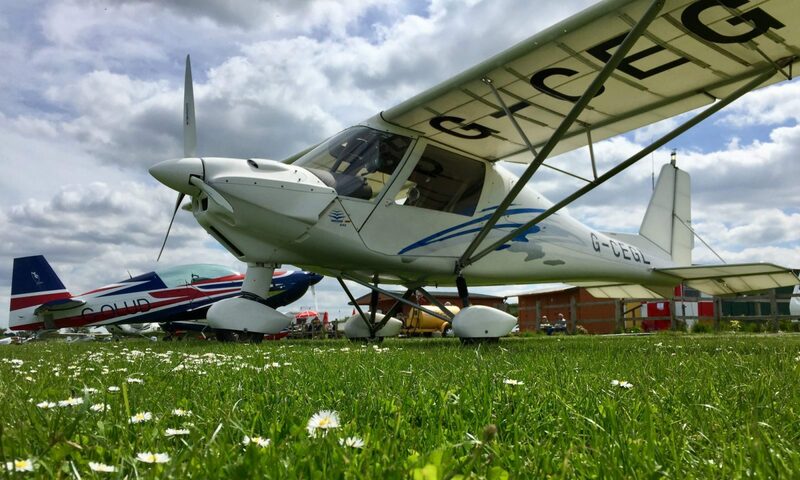 We were quite surprised to hear the weather was so different at Chatteris, which is only around 38 miles away by road, apparently it was a nice day to go flying apart from the gusty wind, but this seems to be the normal at the moment! When we arrived the aeroplane was ok to fly, but was awaiting the cowlings to be refitted, which delayed the lesson by a while. In the clubhouse Mike covered the theory of the lesson I was about to embark upon, Exercise 16A which is to carry out a safe descent, approach and landing in the event of a power failure during flight or to carry out a safe unplanned precautionary landing in an unfamiliar field. This is what I took away from the lesson, on forced landings, WARNING it may not be complete or in the correct sequence, I hope it is, but just in case you have been warned, these are my notes from memory! Adopt glide attitude and min sink airspeed. The first thing to do is to fly the aeroplane (this is a reoccurring theme which Mike rightly stresses) by adopting a gliding attitude with minimum sink airspeed and trim it for this. For our C42 this is 58 knots, but in practice we aim for 60 Knots and trim for this speed which gives us our glide angle, which I believe was stated as 10 degrees. While maintaining attitude and airspeed, check wind direction and strength by observing smoke, wind turbines, or any other means you can, if you cannot determine it and you are near where you departed use the direction it was when you took off. Select a field ideally on your left and below you, you can always lose height, but can’t gain it! Always keep the selected field insight and on your left. The field must be big enough to land in and have a suitable surface, ideally not a recently ploughed field or a field with a high crop in it. Plan your approach picking out a circuit height point on the base leg from which you can make a glide approach to the field. We use 700ft for this. MAYDAY, MAYDAY, MAYDAY, Name of station addressed, Aircraft call sign, Aircraft type, Nature of emergency, Intentions of pilot, Position (or last known position) Altitude and heading, Pilot Qualifications, any other useful information e.g. Persons on board etc. If you make the 700ft point as planned fly the glide approach, if too high extend the base leg and turn back on to final, if to low short cut the base leg on to final. 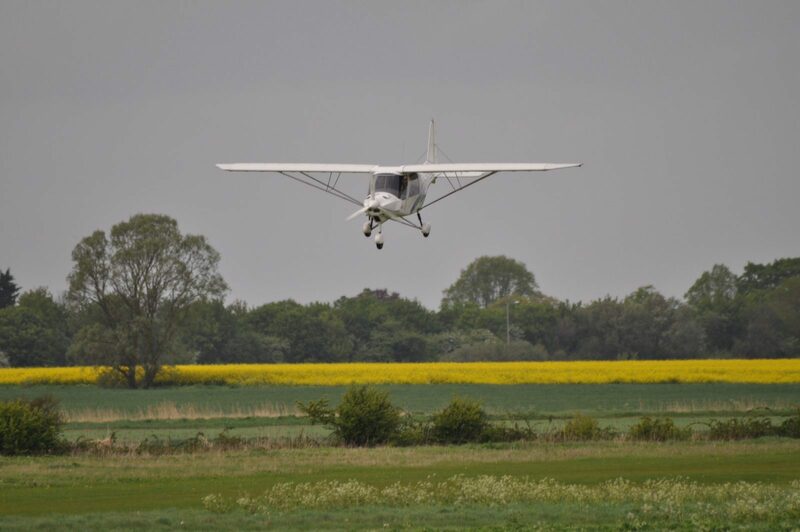 Establish a normal approach, proceed with the landing aiming for the middle of the field once you are 100% sure you will make it deploy flaps and bring the landing point back to 1/3 of the way in. Putting all of the above in to practice sounds simple, but it’s not, so today we simplified it by missing out the mayday call. The first time we stayed with power and Mike asked where I would land, it seemed to take me forever to select somewhere and it was too far away! The next time Mike closed the throttle and I had to find a location, identify the base and final legs as well as pick out the 700ft point on the base leg, things went ok and we made the approached and would have landed in the field selected. The next one was no so good, I select a field to far away, miss read the altimeter thinking I was at 1,500ft when Mike and my eyes were telling me I was at 500ft! we powered on and climbed to 700ft and flew to the 700ft mark and then continued the exercise. My last two were ok although one of them required me short cutting the base leg to make it, but make it we did. As we were flying back to Chatteris Mike closed the throttle (we don’t kill the engine for safety reasons) and said ok put us down on runway 19 from here, so I selected my 700ft point and flew to it, I was a little high so I extended the base leg and then turned on final aiming for the middle of 19, as we were nearly over and high I deployed two stages of flaps and was holding off drift too, all was going well, too well, and then just above the runway I put in the wrong rudder direction which Mike and I both instantly realised and I corrected before touch down. This lesson left me almost as exhausted as my first solo, it takes so much out of you, one day I hope it will all be second nature as it is to Mike, Katie and the others! 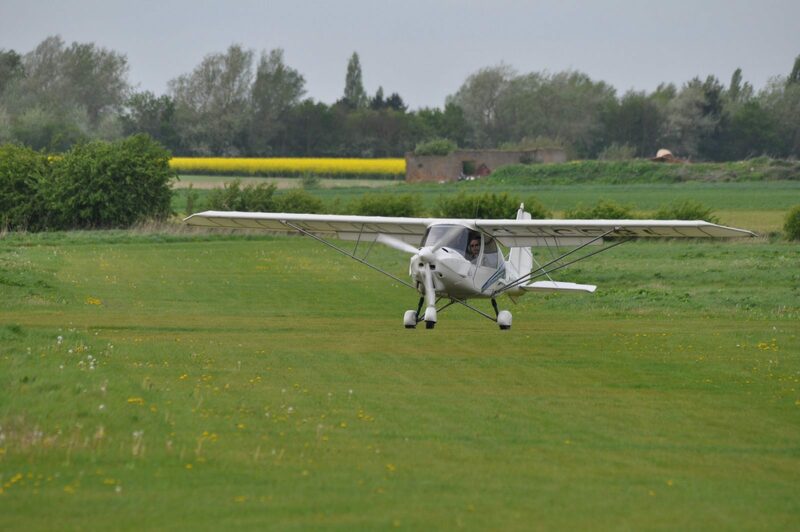 Until now I had not realised how exhausting learning to fly could be, but it’s still good fun too! I find flying exhausting too. I’m a bit further behind you in the journey, but loving every minute of it, plus its useful to read someone else’s experiences too.